I have a female Dubia with a fairly large protrusion coming from her vent, at least I think it's the vent. I'm positive it's not a nymph, and it's much larger than a nymph would be, different color too. It looks like a big blob of marshmallow. I havent given any marshmallows ever so I know it's not that. I have seperated her but I wonder what's wrong and how to help. I tried once before to post picture on here but failed. Anybody know what this could be? Sounds alot like a partial view of a protruding ootheca. How long has this gone on? Can you try another means of posting a pic? I don't think it's an oothecae, and its much worse than it was last night. I'd say it is marble size. I'll see waht I can do picture wise. In any case, I believe this will be fatal for the roach. If you pop it in a small closeable dish or ziplock bag with some water surrounding it, freeze it, then ship it to me ... I would love to dissect it and see whats going on. To do this, though, it needs to be frozen before it dies. WAAAA! I didn't want you to tell me she was going to die. I don't think she is adult yet maybe it's not a girl. I'll be sad but you can have her. I forgot to ask, put her in water and freeze it. Or put her in a bag and surround the bag in water and freeze? For the life of me I can't get the picture to load. I get about half the roach, and it quits. 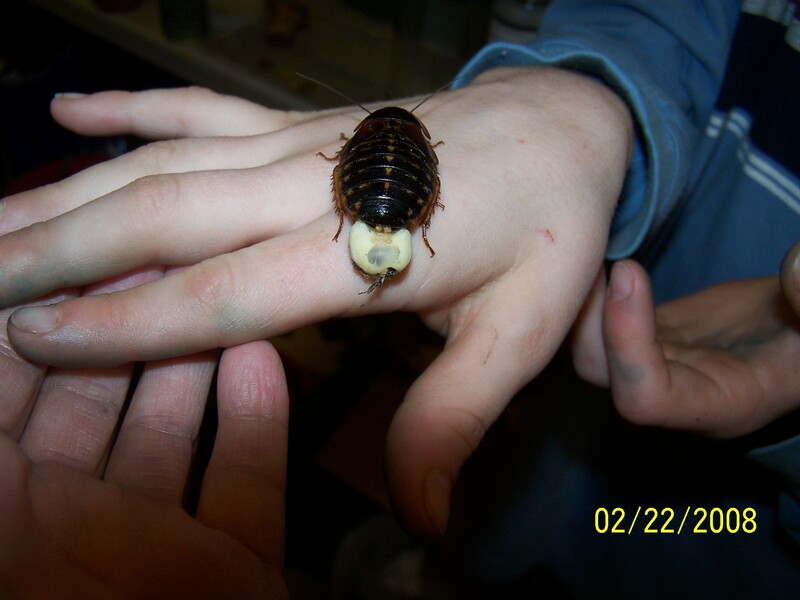 One of my roaches(my last male ) I noticed has a protrusion as well. And he doesn't seem to be doing very well. I don't know if it is similar to the roach of this topic. I don't know anything about this stuff. Severus did you say your last male roach was a dubia? I have so many males that I'm worried about my colony, you may have some of my males if you want them. No, I forgot to mention that. He's a tiger hisser. Thank you so much for your offer though! Here is the protrusion on my male. So how does this type of thing happen? Is it common?